This blog was updated on January 12, 2017 to include new resources. I admit it. I’m addicted to Pokemon GO. It’s not something that I expected to happen. (After all, I’m not really their prime demographic audience!) But I’m in the game constantly now, thanks to the TCEA board members who showed it to me at a recent meeting and to my grown-up son Stephen who is also playing. If you are not familiar with this new phenomenon (where have you been hiding? ), here are the basics. It’s an update of the old Pokemon (“Pocket Monster”) card game that came out in 1995 and is now played via a free Android or iOS app. You are a trainer who catches different “monsters” that are out in the wild. You train them and then fight them in battle gyms. The goal is to “catch them all” and earn the most points for yourself and your monsters. You can trap the creatures by flicking a Pokeball at them with your finger. What makes this new version so very different (and better, in my opinion) than the card game and subsequent video games is the technology that’s now available. 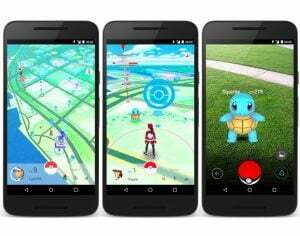 The new version features an augmented reality overlay that uses your phone’s camera and GPS to show Pokemon around you in the real world. So, for example, while I’m walking through the mall, I actually see different Pokemon in the various shops and restaurants. In addition, in order to increase your score in the game, you actually have to get up and move around; you can’t win by just sitting and playing. Instead, you must walk (driving doesn’t work) to visit virtual PokeStops to get more Pokeballs and to see different Pokemon. This part of the game design has blown me away. I went walking around my hometown of Bastrop, Texas Monday night with my son and two of his friends in an effort to discover new monsters. Everywhere we went, we saw people of all ages out walking with their cell phones, stopping to talk to other “trainers” and to share tips and tricks and the best locations to stock up on supplies. It was a very social event, something most games aren’t. What Are the Pluses of the Game? Almost overnight, it has gotten a generation that’s most comfortable inside on the couch playing a game outside walking around, getting fresh air, sunshine, and exercise. According to a study, Pokemon GO has added a total of 144 BILLION steps to U. S. physical activity! It provides an often-needed mental break, especially if you’re an adult playing the game. In order to play the game, you have to visit PokeStops. These are usually at famous landmarks and historical markers around town, which allows players to learn about their community and its history. People are connecting and making friends in the strangest ways. For example, if I set out a lure at a PokeStop, then everyone who joins me there can benefit from my generosity as we all catch monsters together. There are no racial or economic barriers between us. We are united, at least for a few minutes. And in today’s world, that’s a huge benefit and need. The game is crossing generations and bringing together players of all ages. When I walked with my son and his friends, we were all alike, even though I have a lot of years on them and not a lot in common. And it achieves all of this without violence or negativity (no Pokemon are ever harmed in the game). Of Course, It’s Not All Sunshine and Pikachu. Like anything, there have been some negative consequences of the game. 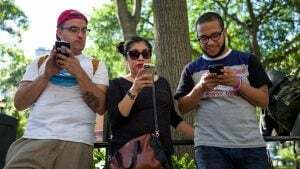 A few people were lured to a particular location via the game and then robbed, a girl discovered a dead body while looking for a Pokemon, and some folks have been too busy looking at their phones to notice the world (and the traffic) around them. But I believe that the game can teach those of us in education a lot about what works with people. After all, there are already more people playing it in its first week of limited release than everyone with a Twitter account worldwide. So What Does Pokemon GO Mean to Education? Playing Pokemon GO together can be a great staff team-building activity for back-to-school professional development. Have your students write stories about their Pokemon. 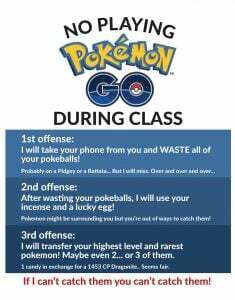 Kathy Schrock’s Pokemon GO in the Classroom, which offers some great educational uses. Keep a log of where they go, what they see, and what they are learning as they play, including historic places and points of interest. Steve Demo offers some great insight into the game and his own experience as his son plays it in Truth, Lies, and Pokeballs: The Sensation Around Pokemon GO. Have your students calculate how many miles they would need to walk (converting from the kilometers used in the game) in order to hatch the different eggs. Have them estimate how many calories they would burn in hatching one egg. Or see how much weight they can lose playing the game with this calculator. And here’s a Pokemon GO interval training workout they can do while playing. This is a good video on the potential social and economic consequences of the game. This elementary teacher has a nice Pokemon reading area in her room that is sure to attract children. If you’re trying to help students learn how to properly cite their sources, use this lesson on Citing Pokemon GO in the MLA style. Take a look at this cute Nine Elements of Digital Citizenship – Pokemon GO Style. To integrate Pokemon GO with other gaming activities, take a look at this report from ISTE with ideas on using the game in lots of innovative ways. Their complete report is available here. Check out this wonderful QR code scavenger hunt to help students learn about their library using Pokemon GO characters. Printable worksheets and other ideas are included. For a different and wonderful take on using the game for learning, read Build Your Own Pokemon Go Augmented Reality Project with VidCode! Some groups and schools are hosting Pokemon GO “clean up” events where they collect trash from an area while playing the game, thus giving back to their community. And, if you wanted to request that your public library or football stadium become a Poke Stop (or stop being a Poke Stop), here’s a form you can use. Click on Submit a Request on the right and then select your desired outcome. 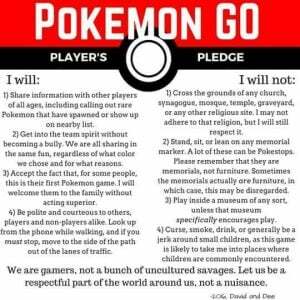 I also found this great Pokemon Player’s Pledge that I wanted to share. While it was written with teenagers or adult players in mind, it could be adapted for younger students. I think it could be a strong lesson starter about how we do anything in life. I can easily see students writing their own pledges. Then the discussion could spin out to how we can be “respectful parts of the world around us” in other areas of our lives. This could lead into talks about bullying, empathy, the environment, and much more. If you as an educator do not want to embrace this phenomenon and even want to ban it from your classroom, that is, of course, your right. But please don’t take the attitude of this teacher, who seems very bent on punishment. I don’t believe that this kind of thinking shows that we as educators understand our students, what motivates them, or how they need to be treated. The game publisher released an update of the app today that does include the promised “buddy system.” This is a great feature for education. It will let trainers choose a specific Pokemon and make it your “buddy.” As you walk around, your buddy monster will be trained and you will be awarded with candy, a very useful resource in the game. The key thing here is that you will have to walk in order to make this feature work. So the game is again emphasizing physical activity. It will also allow players to bond with their buddy, something that will be great for helping students develop and practice empathy. The developer of the game has hinted that the next big update will come sometime between October and Christmas and will feature trading of Pokemon between players. This will be another chance for students to enjoy the social aspects of the game and to make new friends. After all, with more than 500 MILLION downloads of the game in its first two months, there are a lot of new people to meet! 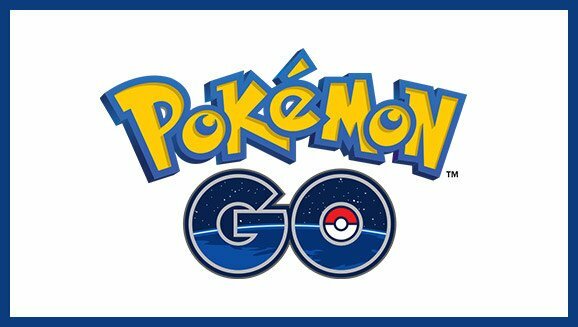 Find out what others think about the use of Pokemon Go in education in my second blog on this topic. I wholeheartedly agree that it’s not about the tool (or the game). But I believe that Pokemon Go does show educators a glimpse of what we should be striving for in our classrooms: connected students who are passionate about what they are learning and teaching and who are actively engaged and leading the search for knowledge and understanding.